Well it happened in 2005 mid season. I was in Double A and I was losing my control and walking a lot of people. We tried to look at old tape and correct things but nothing was correcting my problems. So my pitching rover Rich Adair suggested that I drop my arm angle. I think I went through about 4 or 5 sidearm slots until I felt comfortable with one. Then one day they threw me in a game and said go get em. I think I did alright in that game but It was hard to get comfortable. After about 3 or 4 games of pitching like this I was getting the hang of it. I was picking it up pretty quickly, I think mainly because I was a lower 3/4 guy for the majority of my life. So too get some more practice with this arm angle the rangers sent me too the Arizona fall league and that when everything clicked from me. My ball was moving a lot more and I was able to control it with some V-Low on it. Then in 2006 was my break out year. in 2006 mid way I made my MLB debut July 4Th 2006. It was a quick pickup for me but that arm angle extended my career. My ball moved a lot more and somehow I was gaining more velocity at the sidearm slot . I would also throw from my normal slot and run it up there in the mid 90's. I would do that to keep the hitters off balance. No I wouldn't. I wasn't able to repeat my mechanics with my normal arm slots. But when I dropped down I was able too. Dropping down extended my career for about 6 more years. The biggest for me was keeping my front side closed as long as possible. So I wouldn't fly open, that's when my ball was flat through the zone. Don't short arm the ball too. Really let your arm get extended. 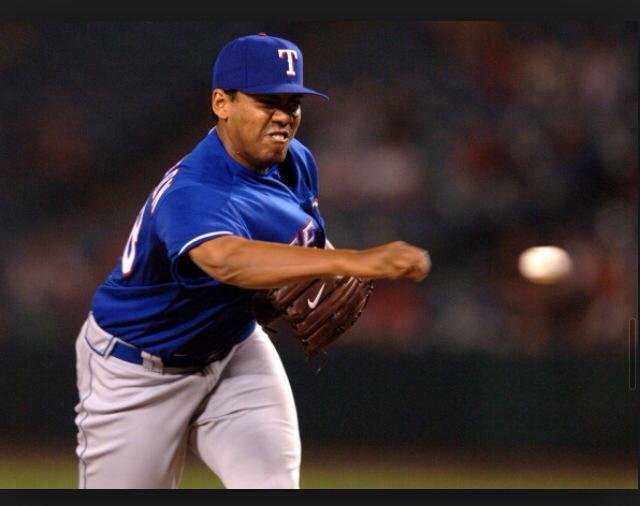 Also I would throw my fastball with my normal arm slot too. Which was my low 3/4 slot. -sink the ball in and out. I mostly stayed away and tried to back door that 2 seam fastball. Then my slider would be my strikeout pitch. Man I hated pitching to lefties. My thing with lefties was too keep them uncomfortable and move there feet so sometime I would come hard inside then work my Changeup a little more. Last I would try to back door my slider too. Since lefties can see right handed sidearmer better I had to do a lot more. It was fun to see peoples reaction to me door the first time. My best moment was I realized I could actually pretty good at this when I faced a lefty in Triple A and I threw a slider that he swung at and missed, but when he missed it also hit him in the gut. I sat on the mound and was like ,"did that just happen!" I had a lot of great moments throwing side arm but that baffled me.